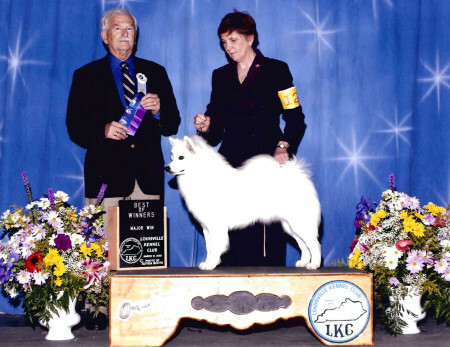 UKC AKC GR CH Thunderpas Eowyn, after winning multiple best of breeds in the show ring and finishing her grandchampionships in UKC and AKC, Eowyn has her Novice Barn Hunt title and one leg in open. 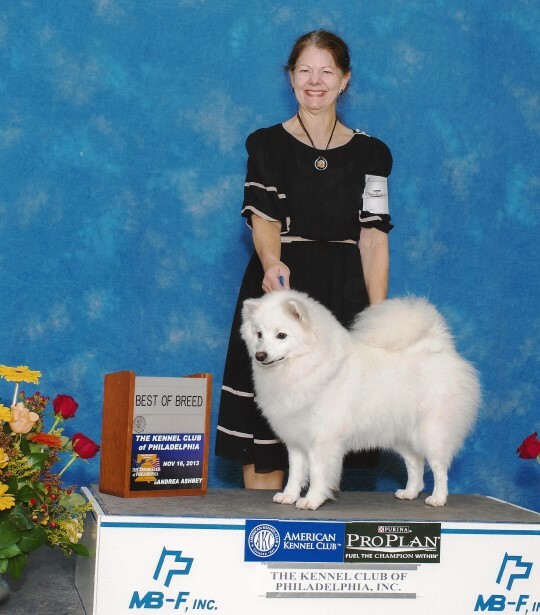 Eowyn was bred to Primo (Gr Ch Silveroak's First & Foremost), the top winning American Eskimo Dog in first 20 years the eskie has been registered in the AKC. 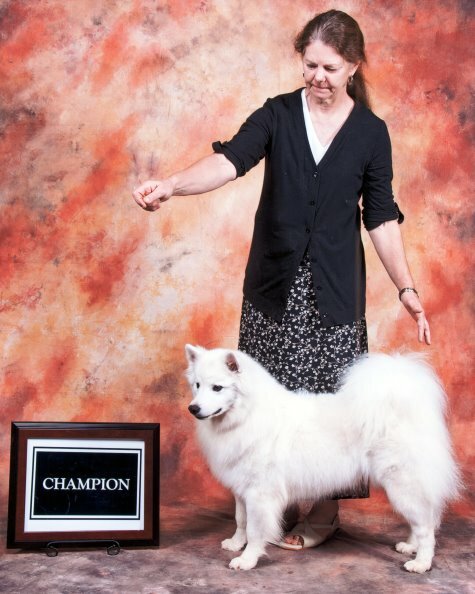 Congratulations to Eleanor Main and Eowyn's daughter Ayla who is a UKC grandchampionship and AKC champion, and son Thunderpas Aragorn, Junior World Champion and now competing in AKC and UKC conformation and rally. 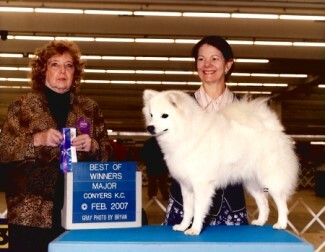 Middle Georgia KC UKC show. 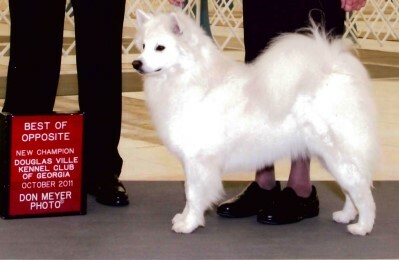 Winning at Sawnee K.C. AUGUST 2011! 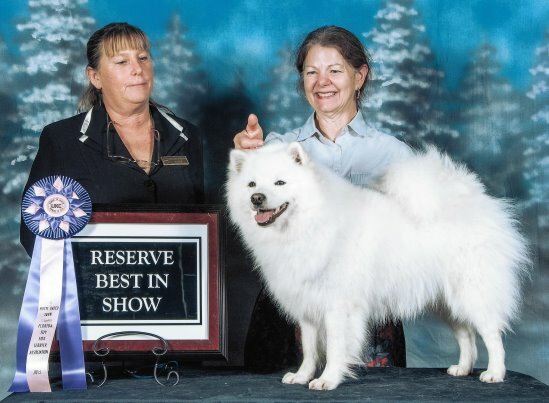 Galadrial is no longer showing, having earned her Register of Merit status as a producer, following in the footsteps of her grandmother and great grandmother. 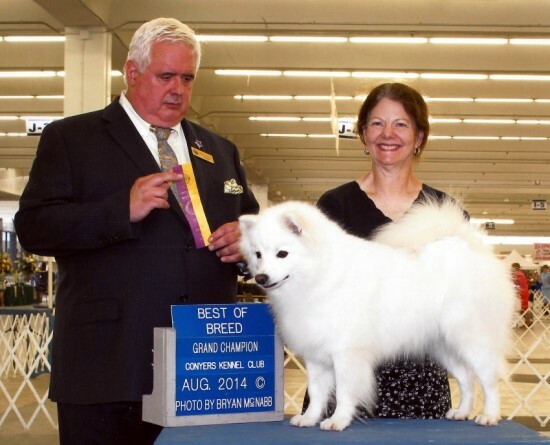 2014 AEDCA national specialty Galadrial and Eowyn were best brace in show. 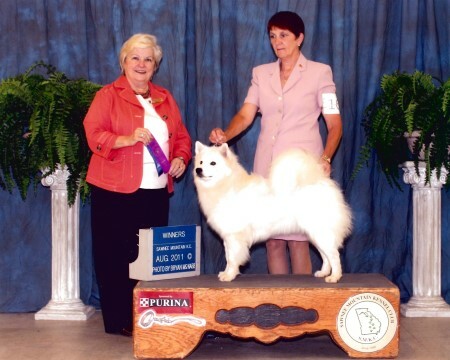 The lucky owner of Thunderpas American Eskimos is Patrea Pabst. Patrea practices patent law as a partner in her own law firm in Atlanta, Georgia. She makes her home at her farm in North Georgia. 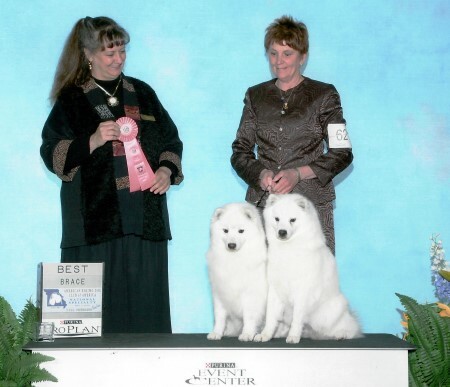 We do not breed often, and each litter is carefully planned. 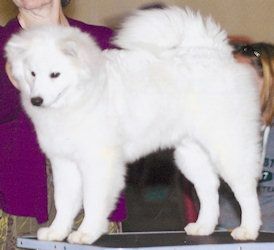 If you would like to see some of our puppies, or are interested in buying a Thunderpas puppy, please see our Puppy Page. © Thunderpas American Eskimos, design: Select Solutions U.S. LLC.